Chief Justice of India T S Thakur today said he agreed to the fact that there are several problems in India arising out of its citizens, including those holding powerful positions, not performing their fundamental duties enshrined in the Constitution and because there is no spirit of enquiry and scientific temper in today’s youth but says the Supreme Court can do precious little in this regard. “In principle nobody disagrees with what you are saying. But the question is whether is this the forum to raise such issues. Can we issue any mandamus? Many problems are there but does the court have a solution for this We will anyways go through your petition and consider all these aspects and pass some order. In ideal state of affairs you are right”, Chief Justice T S Thakur, heading a bench said while hearing a public interest litigation filed by an advocate Ashok Arora, a noted Indian lawyer and motivational speaker . The bench posted the PIL for detailed hearing after the vacations. Arora sought a direction to the centre to develop scientific temper, humanism and the spirit of inquiry in today’s youth. “We all know that Article 51 A of the constitution which defines the fundamental duties of a citizen enjoins upon every citizen to develop the spirit of enquiry and scientific temper” the PIL said. Arora has raised the issue of Article 51 A and 51 A (H) of the Constitution. "99.9% citizens including lawyers, judges and parliamentarians do not perform their fundamental duties prescribed under Article 51 A of constitution," Arora said in his petition. “Problem throughout the world is same that the education system is producing computers and not compassionate human being. That is why the world has not produced any Bhagat Singhs Abraham Licoln, Martin Luther King Nelson Mandela for a long time. The world is investing in bombs than next generation”, it said. In a first of its kind development, Arora had sent the content through a WhatsApp and urged the Chief Justice to accept it as a Public Interest Litigation (PIL). Indian judiciary is yet to admit Whatsapp messages or SMSs as petition even though it has converted several letters and post cards received by the judges as public interest litigations in the past. But to the relief of Arora, the chief justice has agreed to hear his PIL today though not the petition in Whatsapp form but based on a typed petition. He was asked to put on paper whatever he has said in his voice message. Arora had sent the message to the Chief Justice few weeks ago. But since he did not get a reply, Arora had flown down to Delhi to make an enquiry. 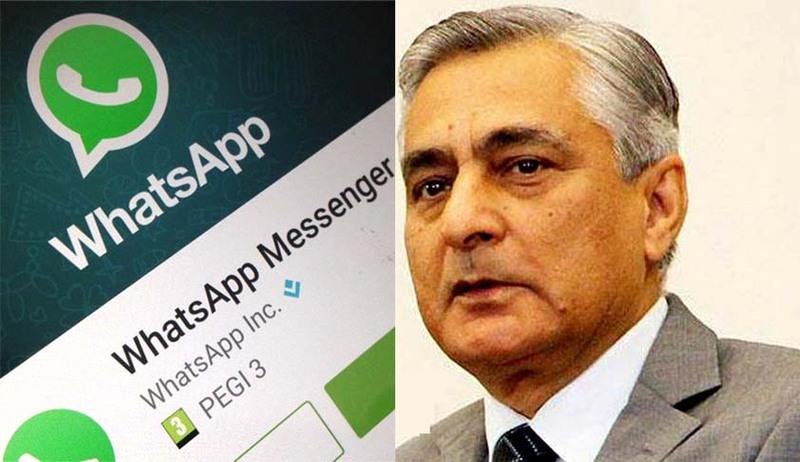 When he referred to his message, CJI Thakur told him that the judiciary has not started considering whatsapp messages as ‘letter petitions’. Arora countered that if prayers made through post cards can be converted into a PIL, so can be whatsapp messages and “in fact such messages are more credible as one can authenticate the sender from the number it has come from unlike the post cards which anybody can send in anybody’s name”.